Venezuela, also known as the Bolivarian Republic of Venezuela, is an example of progress and improvement in terms of Children’s Rights in South America. However, the situation remains difficult, and many problems must still be rectified. 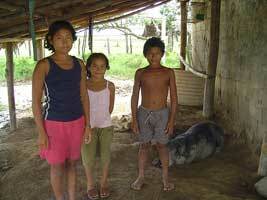 Almost 40% of the Venezuelan population live below the poverty line. Despite this, the country has succeeded in perceptibly reducing the poverty in a manner that is particularly commendable for a South American country. 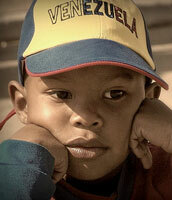 The rights of many children are endangered as a result of this poverty, posing a very real threat to their well-being. Children living in isolated rural regions, as well as children of indigenous peoples, are the ones most affected by this problem. 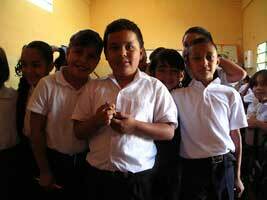 In Venezuela, roughly one child in ten is uneducated. This lack of education affects some children more than others; indigenous children, those descended from African families, and those who live in rural areas may encounter more difficulties in obtaining an education than others. In particular, they must overcome numerous administrative obstacles. The sexual exploitation of children is a stark reality in Venezuela, a country which is frequently the source or the intermediary location for the trafficking of children for sexual purposes. This type of commerce is extremely harmful for children who are sometimes subjected to the most senseless forms of sexual exploitation (e.g. pornographic films). 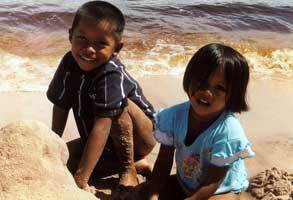 It clearly flouts the principles of the Convention of the Rights of the Child (CRC). Corporal punishment is widely accepted by the Venezuelan population. It is still practiced, specifically by parents who cannot imagine alternative means to punish, or reason with, their children. Corporal punishment can have serious physical and mental repercussions for children. In addition, many children are victims of domestic violence and abuse. Venezuelan police are not always protective of the children they encounter. In fact, when faced with children who are not always aware of their actions, the police officers often resort to violence or other inadequate means. The Venezuelan justice system is also greatly suspect: torture, illegal execution and forced disappearances are commonplace. Not even minors are spared from the shocking conditions of detainees, often being subjected to inhuman and degrading treatment. In this way, the police and judicial protection to which children are entitled are regularly overridden, going against the principles posed by the CRC. In Venezuela today there live people whose rights are violated and unrecognized, where children are unprotected and constantly threatened. These children are not treated in the same manner as others. They are victims of discrimination in essentially every fundamental right. It is particularly difficult for them to obtain access to aid, health services and education. The treatment of these children by the State and by the rest of the population has grave consequences for their standard of living. The state of their health is extremely precarious, and it seems that with each violation of their rights they become increasingly vulnerable. These people and their children are deprived of their fundamental rights: security, health, nutrition, education, and protection.